The nominations for the Rock and Roll Hall of Fame's Class of 2015 are in, and the list includes Green Day, Nine Inch Nails, N.W.A, the Smiths, Lou Reed and Sting. The rest of this year's hopefuls are the Paul Butterfield Blues Band, Kraftwerk, Chic, Joan Jett & the Blackhearts, the Marvelettes, the Spinners, Stevie Ray Vaughan, War and Bill Withers. The top vote-getters will be announced toward the end of the year and inducted on April 18th, 2015 at a ceremony in Cleveland, Ohio. For the third consecutive year, the public gets to vote alongside the artists, historians and music industry insiders of the Rock Hall voting body. From now until December 9th, fans can vote on RollingStone.com for the nominees they’d like to see inducted (click here to vote). The top five acts will comprise a "fan's ballot" that will count as one of the ballots that determine the Class of 2015. In order to be eligible for this year’s ballot, artists or bands need to have released their first single or album in 1989 or earlier. Many of the nominees have appeared on previous ballots, but this is the first appearance for Green Day, Nine Inch Nails, the Smiths, Stevie Ray Vaughan, Bill Withers and Sting. 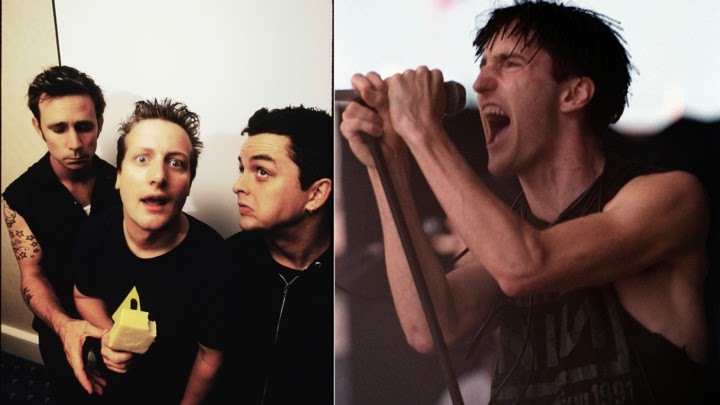 Green Day and Nine Inch Nails are the only acts to land on their ballot in their first years of eligibility. Green Day's debut EP 1,000 Hours came out in April 1989, and Nine Inch Nails’ first album Pretty Hate Machine was released in October of 1989. Lou Reed has already been inducted as a member of the Velvet Underground, and Sting previously entered the Hall of Fame as a member of the Police. Last year's Rock Hall class included Nirvana, Kiss, Peter Gabriel, Hall and Oates, Cat Stevens and Linda Ronstadt. The E Street Band received the Award for Musical Excellence and Beatles manager Brian Epstein and original Rolling Stones manager Andrew Loog Oldham earned the Ahmet Ertegun Award for non-performers.